The winter has been long, cold and wet but perhaps Spring is not too far away. In Pinner Memorial Park there is once again a beautiful display of snowdrops by the entrance in West End Lane. 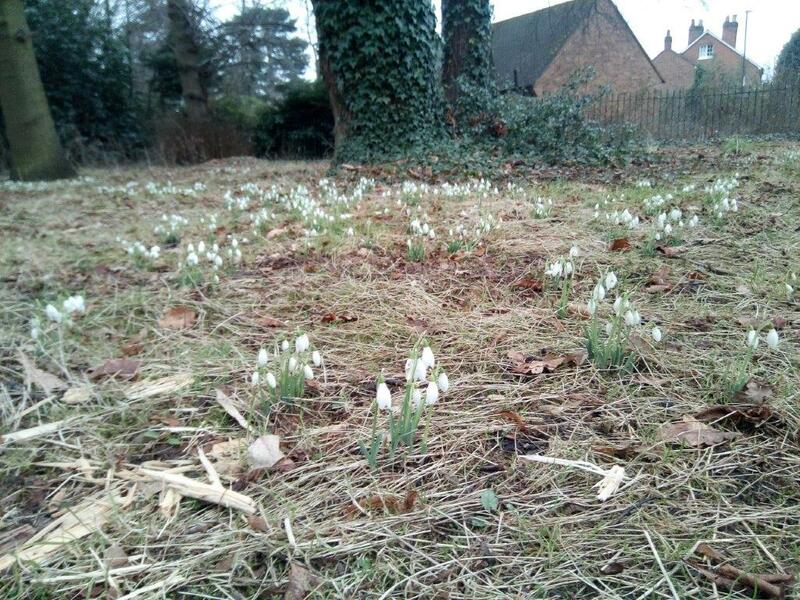 In 2015 some 2,000 snowdrops, funded by the Pinner Association, were planted by a team of volunteers under the supervision of Jackie Lindop, one of our members. More were added in 2016. This now means that every year these harbingers of Spring will be in full bloom under the chilly February skies, giving pleasure to all those who pass by. Do stop and have a look. Previous Previous post: Email Scam – beware! Next Next post: Relocation of Zebra crossing on Bridge Street – Feedback wanted!